Ross Buckendahl, General Manager of The Prairie Club along with their new Director of Agronomy, Roger Brashear, have been working with Graham Marsh and Chris Brands, architects who were involved with developing the Pines and Dunes Courses to improve playability and aesthetics on the courses. The courses look good and they have assured guests that every hole will be completely playable for the entire golf season which began last month. They have widened the landing zone on the left side of the fairway. 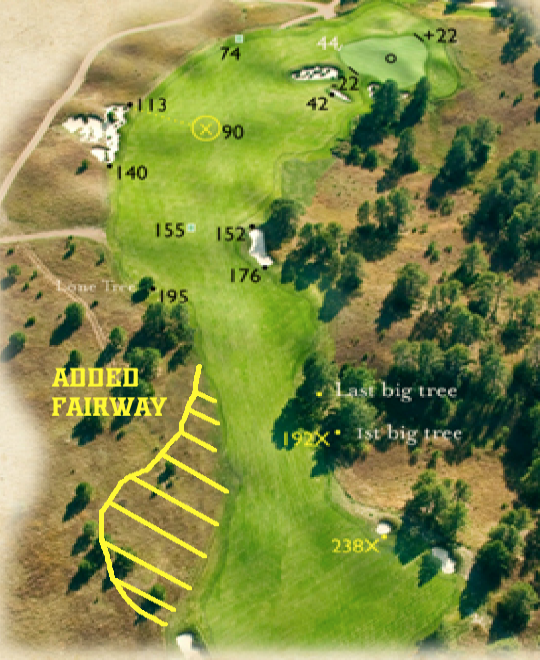 By removing trees on the left side of the par-5, the fairway will be almost doubled in size, now almost 30 yards wide. They have also cleaned and trimmed a number of trees to give more options on the inevitable recovery shot. 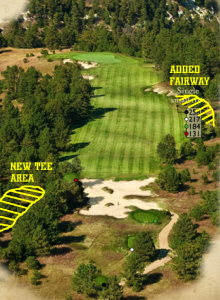 The effect will be a tee shot that makes it much more enticing to pull out the driver and challenge the left side. Those who succeed will be able to fire at the green with their second shot, and those who don’t will find their miss to be much more forgiving. They will be working on this project throughout the season. New tee boxes will be built to the left of the current tee boxes. This will create a slight dog-leg back to the left and create a much-improved angle for both the drive and approach shots. The main benefit of moving the tee boxes is the elevation change. The new tee boxes will sit about 12 feet higher, giving golfers a much clearer vantage point of the fairway they are hitting into. Some trees will be removed from the left-hand side of #16 as well to give golfers some space to work with on shots that skirt the rim of the canyon. This is all on top of the fairway addition they made last year to Pines #16. They removed trees and added over 1/3 acre of fairway on the right-hand side to allow a better attack angle into the green. The grounds crew has spent an incredible amount of time this spring giving cosmetic improvements to the bunkers on both the courses. The bunkers are being worked with to showcase more sand on these beautiful blowouts, and help first-time guests see more of the hazards. They are also reshaping some of the bunkers that the winds have blown well beyond their original boundaries. The features of the blow-out bunkers are ones that The Prairie Club has become known for and they want to provide golfers with that re-instituted feel while playing their courses.